Mitt Romney won’t release his tax forms, not because he’s afraid it will prevent him from getting elected, but because it might mean he gets jail time. Mitt Romney only invested in aborted fetus removal so he could give them a proper burial... and to posthumously baptize them as Mormons. Mitt Romney puts his money in off-shore bank accounts because even his wealth can afford beach-front property. Mitt Romney kept money in a Swiss bank account because he respects the fact that Switzerland doesn’t take a hard stance on anything. 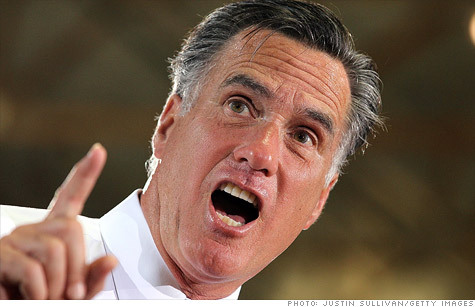 Mitt Romney was only responsible for earning profits at Bain Capital, not the company’s criminal activity or outsourcing. Mitt Romney brought the Winter Olympics to America instead of the Summer Olympics because he only likes competitions that are primarily won by white people. Ann Romney has said she doesn’t think of herself as rich. I bet she’s half right: she just doesn’t think.